One bedroom ground level condo at PIXEL by Battistella in Kensington. Built in 2013, the home is 473 sqft and features an open concept living and kitchen area and polished concrete floors. The condo has its own exterior entranceway with a private patio with a gas bbq hookup. Tenants have access to the common area rooftop patio that has seating, a gas fireplace, and expansive views of the downtown skyline. Kensington has been voted Calgary’s best neighbourhood many years running. The area features dozens of local shopping, trendy restaurants, and coffee bars galore! 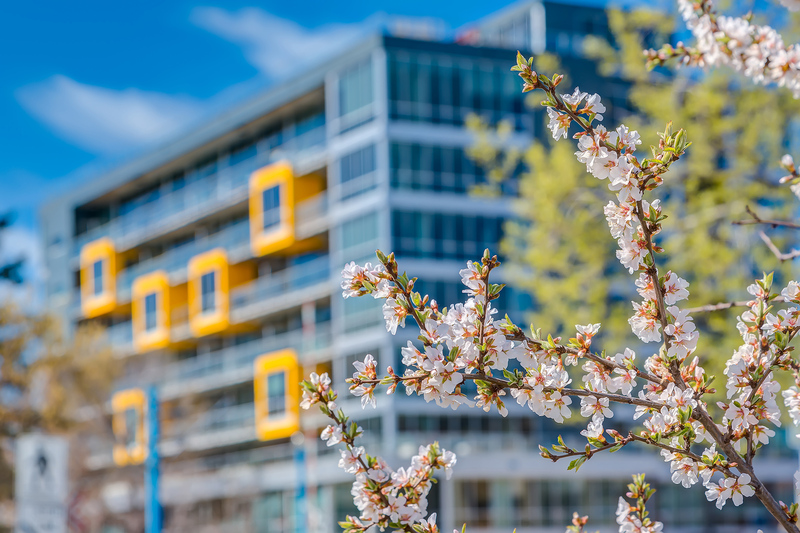 The neighbourhood also boasts great staple amenities like Shoppers, Safeway, easy access to parks and the Bow River pathway system as well as the Sunnyside C-Train station. Underground parking and a storage locker are included and pets are negotiable with a non-refundable pet fee and upon approval. Extra parking and storage can be rented.